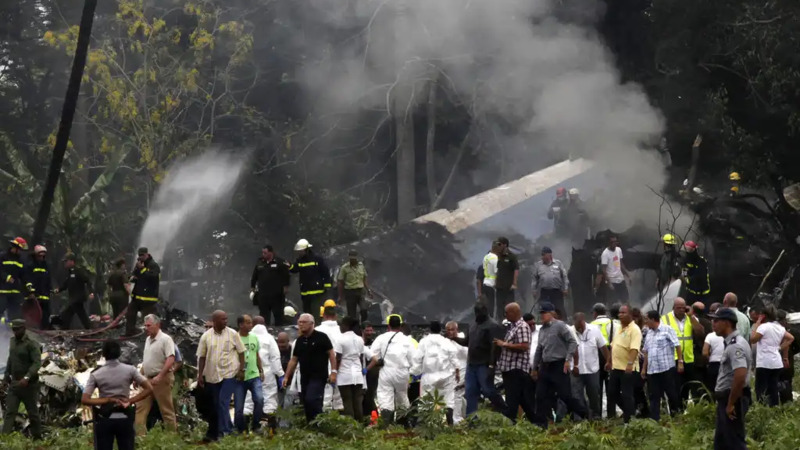 The Mexican charter company whose 39-year-old plane crashed in Havana had been the subject of two serious complaints about its crews' performance over the last decade, according to authorities in Guyana and a retired pilot for Cuba's national airline. Mexico's government said late Saturday that its National Civil Aviation Authority will carry out an operational audit of Damojh airlines to see if its "current operating conditions continue meeting regulations" and to help collect information for the investigation into Friday's crash in Cuba that left 110 dead. The plane that crashed, a Boeing 737, was barred from Guyanese airspace last year after authorities discovered that its crew had been allowing dangerous overloading of luggage on flights to Cuba, Guyanese Civil Aviation Director Capt. Egbert Field told The Associated Press on Saturday. The plane and crew were being rented from Mexico City-based Damojh by EasySky, a Honduras-based low-cost airline. Cuba's national carrier, Cubana de Aviacion, was also renting the plane and crew in a similar arrangement known as a "wet lease" before the aircraft veered on takeoff to the eastern Cuban city of Holguin and crashed into a field just after noon Friday, according to Mexican aviation authorities. A Damojh employee in Mexico City declined to comment, saying the company would be communicating only through written statements. Mexican authorities said Damojh had permits needed to lease its aircraft and had passed a November 2017 verification of its maintenance program. They announced a new audit late Saturday. Cuban Transportation Minister Adel Yzquierdo Rodriguez told reporters Saturday afternoon that Cubana had been renting the plane for less than a month under an arrangement in which the Mexican company was entirely responsible for maintenance of the aircraft. 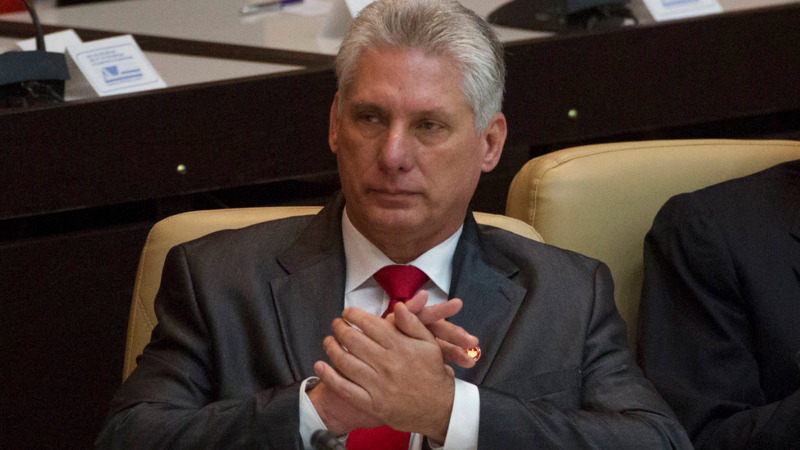 Armando Daniel Lopez, president of Cuba's Institute of Civil Aviation, told the AP that Cuban authorities had not received any complaints about the plane in that month. He declined to comment further. Yzquierdo said it was routine for Cuba to rent planes under a variety of arrangements because of what he described as the country's inability to purchase its own aircraft due to the U.S. trade embargo on the island. Cuba has been able to buy planes produced in other countries, including France and Ukraine, but has pulled many from service due to maintenance problems and other issues. "It's normal for us to rent planes," he said. "Why? Because it's convenient and because of the problem of the blockade that we have. Sometimes we can't buy the planes that we need, and we need to rent them." He said Cuba didn't have pilots certified to fly the Boeing, so it had hired the Mexican crew with the expectation that they were fully trained and certified by the proper authorities. Yzquierdo also said the jet's "black box" voice recorder had been recovered and that Cuban officials had granted a U.S. request for investigators from Boeing to travel to the island. 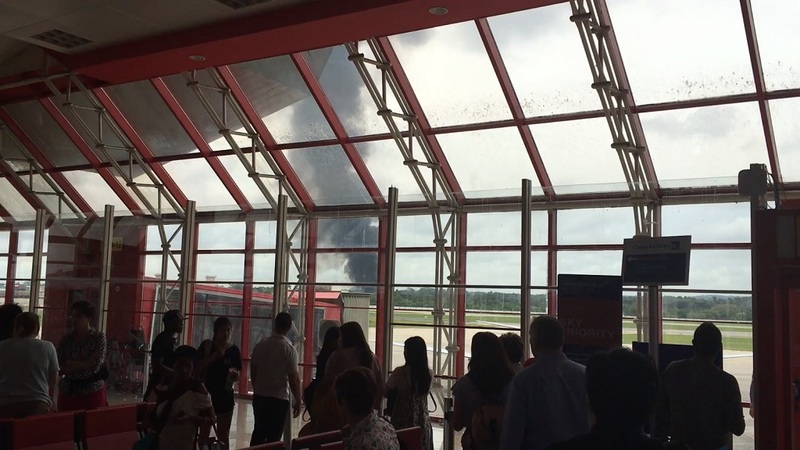 Eyewitness and private salon owner Rocio Martinez said she heard a strange noise and looked up to see the plane with a turbine on fire. "It had an engine on fire, in flames, it was falling toward the ground," Martinez said, adding that the plane veered into the field where it crashed, avoiding potential fatalities in a nearby residential area. Field told AP that the Boeing 737 with tail number XA-UHZ had been flying four routes a week between Georgetown, Guyana, and Havana starting in October 2016. Cubans do not need visas to travel to Guyana, and the route was popular with Cubans working as "mules" to bring suitcases crammed with goods back home to the island, where virtually all consumer products are scarce and more expensive than in most other countries. After Easy Sky canceled a series of flights in spring 2017, leaving hundreds of Cubans stranded at Guyana's main airport, authorities began inspecting the plane and discovered that crews were loading excessive amounts of baggage, leading to concerns the aircraft could be dangerously overburdened and unbalanced. In one instance, Guyanese authorities discovered suitcases stored in the plane's toilet. "This is the same plane and tail number," Guyanese Infrastructure Minister David Patterson said. He and other Guyanese authorities said they did not immediately know if the crew suspended last May was the same one that died in Friday's crash. Damojh operates three Boeing 737s, two 737-300s and the 737-201 that crashed Friday, according to Mexican officials. Ovidio Martinez Lopez, a pilot for Cubana for over 40 years until he retired six years ago, wrote in a post on Facebook that a plane rented from the Mexican company by Cubana briefly dropped off radar while over the city of Santa Clara in 2010 or 2011, triggering an immediate response by Cuban aviation security officials. As a result, Cuban officials suspended a captain and co-pilot for "serious technical knowledge issues," and Cuba's Aviation Security authority issued a formal recommendation that Cubana stop renting planes and crews from Damojh, Martinez wrote. "They are many flight attendants and security personnel who refused to fly with this airline," Martinez wrote. "On this occasion, the recommendation was overlooked and they rented from them again." Contacted by AP in Havana, Martinez confirmed his Facebook account but declined to comment further. Mexican officials said the Boeing 737-201 was built in 1979. 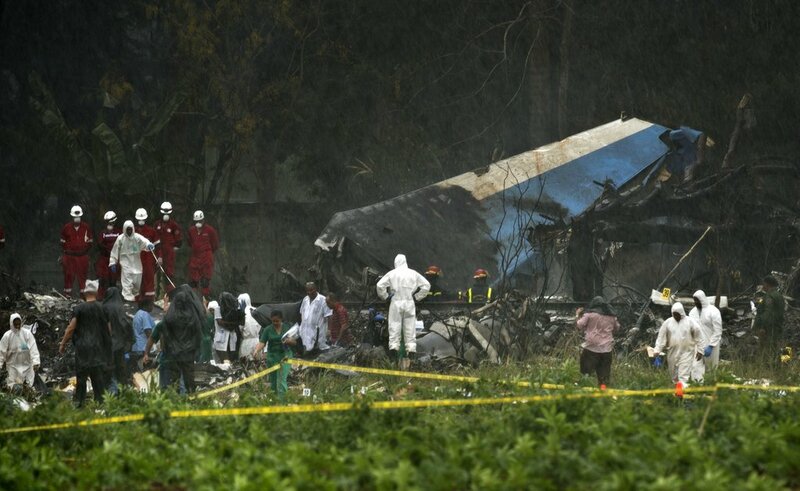 Mexican aviation authorities said a team of experts would fly to Cuba on Saturday to take part in the investigation.